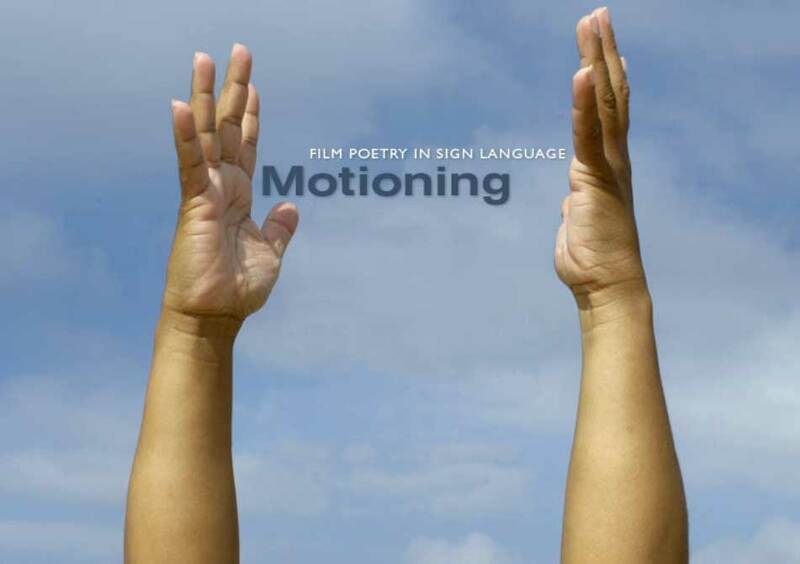 Leendert Pot and Anja Hiddinga, together with poets Wim Emmerik and Giselle Meyer, have made five innovative shorts, presenting the visual power of poetry in sign language. In all film poems visual rhythm, repetition, wide-angle and close-ups shape the dynamics of the composition. Fire, a poem about mortality, was shot from behind a matte glass sheet and provides a fairy-tale spectacle. Poem by G. Meyer. Strand, a poem about 'identity', is like a dance between the poet and the camera. The whole film entails one single shot. Poem by G. Meyer. The first four films were finished in 2005 had had their premiere at the International Film Festival Rotterdam 2005, Growth was in 2003. If you need photographs for publicity purposes, contact Geelprodukt. Click on photographs to enlarge.